Isn’t she a thing of beauty, a palette sent to the earth from the highlighting gods – yes I did just refer to a palette as a she. 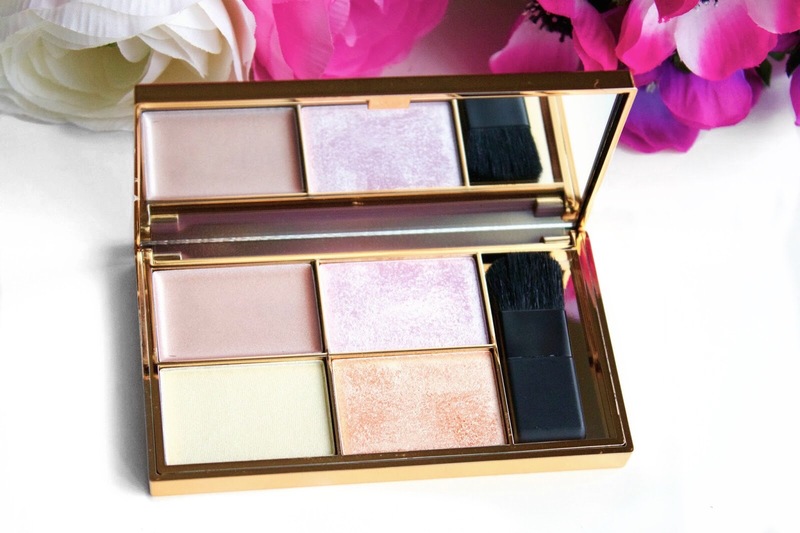 I’ve had my eyes on this Sleek palette since I started seeing it pop up on various blogs and on my Instagram feed, and then when I saw the fabulous Ailsa (aka my fave Instagramer ever) post pictures, I was sold! I picked up this palette the very next day, and although I’ve only owned it for a few days, it’s blessed my face with a glow that I needed to share. One of the things that really drew me into this palette (besides the beautiful shades) was the rather fabulous gold packaging. 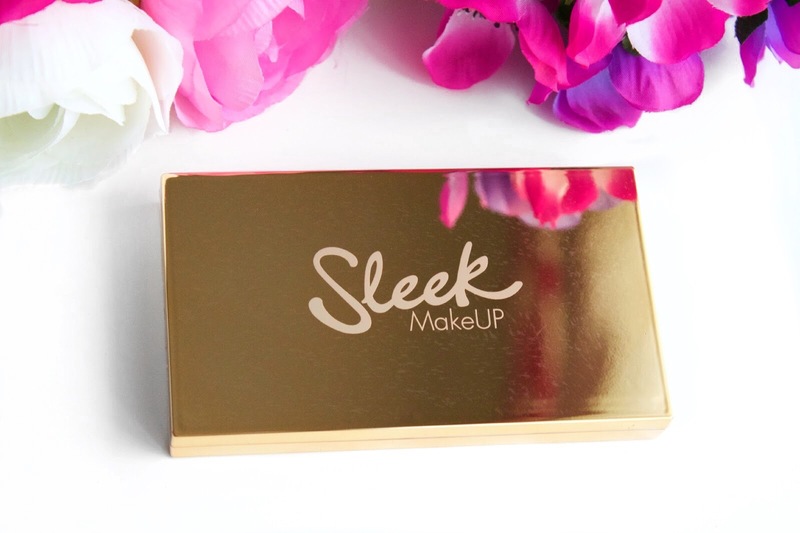 Sleek are know for the ‘sleek’ black packaging, so this beautiful gold stands out amongst the other products – although it is rather prone to finger prints! It contains a mirror on the inside so it’s super handy especially for travelling. I really can’t fault the formula of the shades, every shade is super soft, beautifully pigmented and gives you an incredible glow without making you look like a disco ball. Although it does come with a brush inside, I haven’t even bothered using it because it isn’t the softest, like all brushes that seem to come with palettes. Ecliptic- This cream highlighter is the stand out product in this palette for me, and the one I’ve found myself using the most. I’m not normally one for cream highlighters, and I thought it would be the colour I avoid but it’s been the total opposite! It’s such a pretty dusty champagne pink colour with such a smooth and easy to use formula. I’ve been applying this with my fingers to the top of my cheekbones, brow bone and the tip of my nose (to give a lifted look) and I couldn’t love it more. Hemisphere- Pink highlighters are my favourite, I own way more than I really need. This baked shade leans slightly on the lilac side, and makes a beautiful highlighter as well as a gorgeous eye shadow shade. Whilst it looks rather intense in the swatch, it transfers a lot more softer onto the skin and adds such a beautiful subtle pink glow to the skin. Subsolar- Now this soft golden yellow silky powder has been the shade I’ve reached for the least as I’m just not over keen on yellow highlighters. Whilst this colour is beautiful, I just find that yellow tones really don’t suit my skin tone. This is more muted than the other colours, and the most wearable as it doesn’t contain as much shimmer as the others. It does remind me very much of Nars Albatross which I don’t own anymore so I can’t fully compare the two. Equinox- When I first saw this colour I was worried that it might be a little dark for my fair (NW15) skin, but thankfully it’s not. This baked warm orange gold shade has been the colour I’ve found pairs perfectly with warm burgundy and purple eyes (my favourite colours to wear at this time of year). Once it’s applied on the face it’s not as golden as you’d expect and it’s a lot more wearable. Overall I’m incredibly impressed with this palette, and I couldn’t recommend it more. 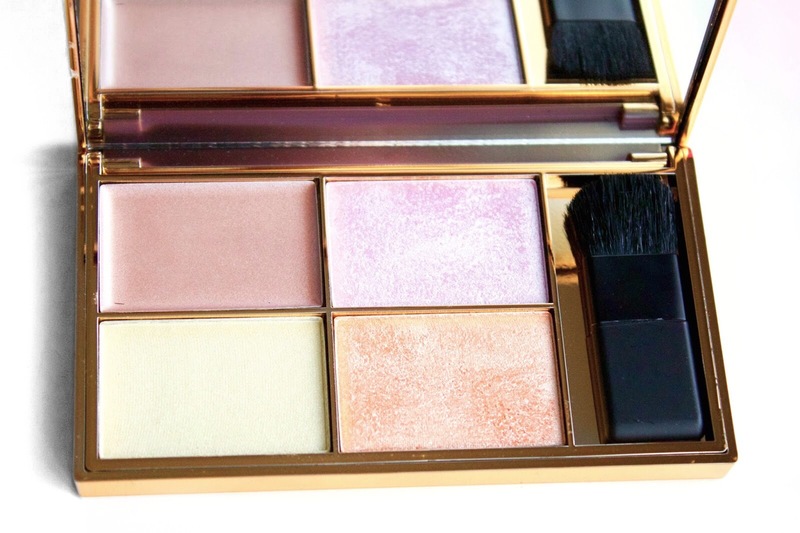 If you’re a fan of highlighters then you really do need this palette in your life!